Lots of schools and other venues want to have a Code Club but sometimes they struggle to find volunteers to help them out. In order to help venues find the volunteers they need, Code Club are beginning to build local partnerships between businesses, universities and venues. Our first local partnership, between The London Borough of Camden, Google and UCL Engineering, was announced last week. 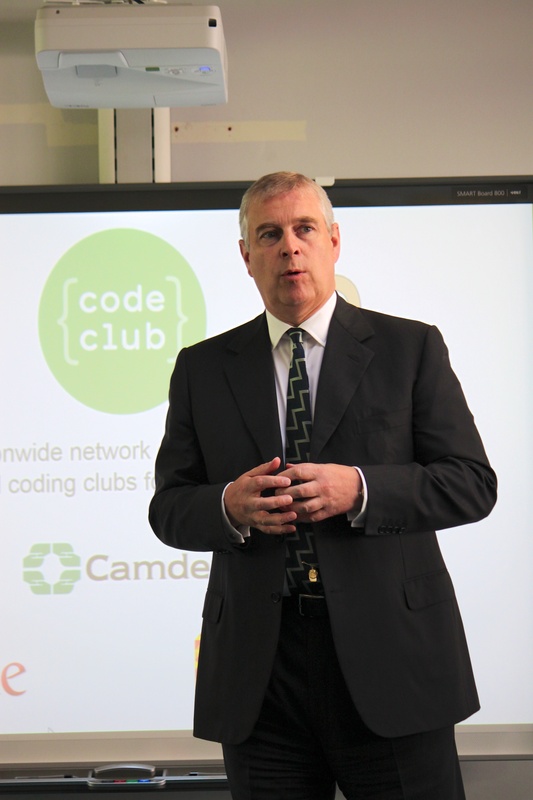 Camden are the first borough in the UK to commit to putting a Code Club in all of their primary schools and in order to help them do this Google and UCL Engineering are going to encourage their staff and students to run Code Clubs! We were very excited about this and so we had a launch event at the marvellous City Learning Centre in Camden and invited all the local Headteachers and ICT Coordinators. Our patron, HRH Duke of York, also popped in to meet everyone and to say a few words about how exciting this all is! The partnership was featured in the Evening Standard and also on BBC London News!